If you send the wrong person a sext it can be devastating. It can also be pretty great. It all depends on who gets that sext message. The wrong person can turn out to be the right person every once in a while. In those rare circumstances when it turns out alright, you don’t have anything to worry about. However, when you send the wrong person a sext and it turns out badly (as it almost always does) you have a lot of damage control to do. When you send the wrong person a sext, the first thing you must remember is to stay calm. Getting yourself all worked up wont solve anything. In fact, you can count on it making things worse. Losing your cool can cause you to make dumb decisions. You could end up making an unbelievable excuse, lying, and/or making things worse. Take five and calm down. Minimize your panic by taking a couple deep breaths and thinking things through. Who got the sext message? Is it someone who can take a joke or someone who will understand a mistake? It may not be as bad as you think. If you are lucky enough to send a sext message to someone who won’t be offended or hurt, keep your explanation brief. Will it be embarrassing? Sure. Will you feel like an idiot? Probably. Will it pass? Absolutely. Keep your apology to just a few words. Sorry. Wrong Person. Simply apologize for the inconvenience and confusion. If you are close to the person, you can even make a joke out of it and ease the stress of the situation. When you send the wrong person a sext just keep your apology to the minimum and move on. 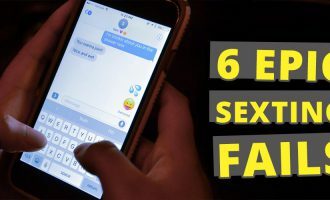 Sending the wrong person a sext is always embarrassing, [12 Embarrassing Sexts You Must See] but when its your boss or the pet sitter, or someone you don’t know all that well it can be mortifying. In this kind of situation, you will want to be a little wordier, but not by much. Use full sentences. Be more formal than with a friend or someone you know better. You want this person to still see you as a responsible, decent person. Explain the situation and drop it. You may even say your little brother was using your phone or something similar. By all means, if you can feasibly push the blame onto someone else, do so! Saying your phone was stolen when you send the wrong person a sext is a risky move. It will look a bit suspicious when they see you again with the same phone. Only use this excuse if you are about to get a new phone or at the very least, switch phone cases. In some instances you may be able to say you were able to retrieve your phone from the thief, but you have to have a believable story to accompany it. This where staying calm helps. You’ll have to put some thought into your back-up story if you go this route. Once in a blue moon you will send the wrong person a sext and it works out. Turns out she was into you all along or decides to play along. If this occurs, you can thank your lucky stars and jump on the opportunity. If not, using one of these handy tips or a combination of a few will help you through this embarrassing moment. Hang in there, everyone will forget about your flub soon. 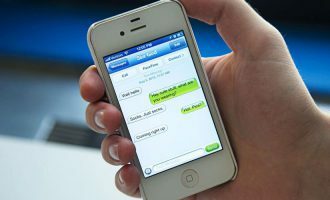 In the future check and double check who your sending your messages to.